Cut Flower Garden Grown In Builder’s Buckets. 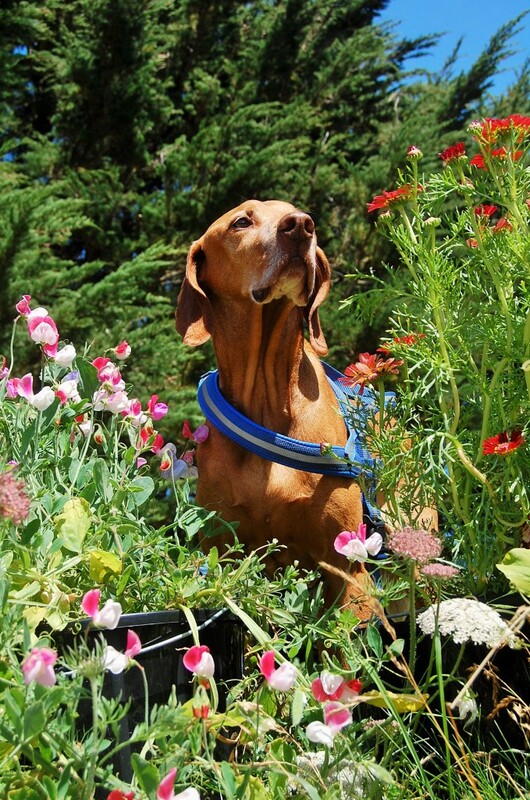 Noble Furface wearing his combat harness, ever vigilant for Russian horticulturalists. This year I have donned my lab coat and safety googles and stepped forth into the murky and sometimes dangerous world of experimentation. 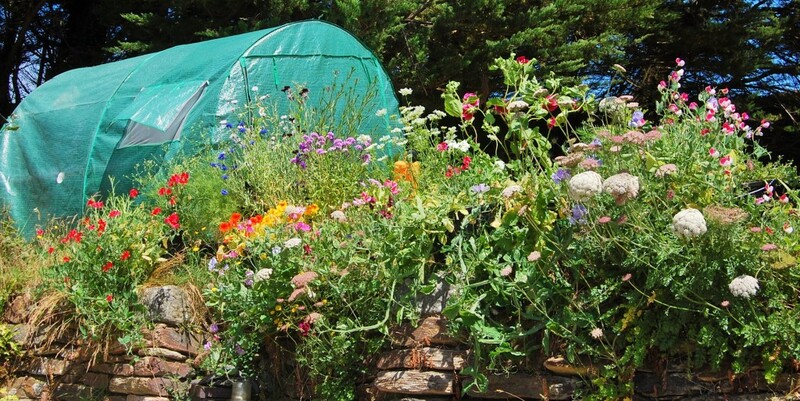 The question of whether man or womankind could grow flowers in standard builder’s buckets had been plaguing the think tanks of Europe for hundreds of years. From Socrates to The Man from Del Monti, everybody had an opinion but the stark truth was that no one knew for sure and this was making people nervous. Things came to a head recently when reports came in of a secret Russian horticultural SWOT team making drops of buckets and what appeared to be Sweet Pea seeds into Russian held Ukraine. This news pushed the Americans over the edge, the Ukrainian Bucket Crisis could tip the world into a hitherto unimaginable, nasty little squable. Naturally I wasn’t surprised that the Higgledy hot line lit up that afternoon at the Higgledy HQ. “It’s the PM”, said Furface, handing me the receiver, wearing a furrowed look on his muzzle. “Thanks Higgers…Britain salutes you!” Replied the PM, sounding relieved. “I’m in like Flynn, I’m Jimmy Jim Jim!”, not having had time to do any work on my catch phrase I quickly hung up and got to work on Project Bucket. On this side I have let the wild grasses grow up around the buckets…so the buckets are pretty much hidden and it gives it a rustic chic vibe. ;) The Sweet Peas have been left to ramble down the wall, Higgledy style. 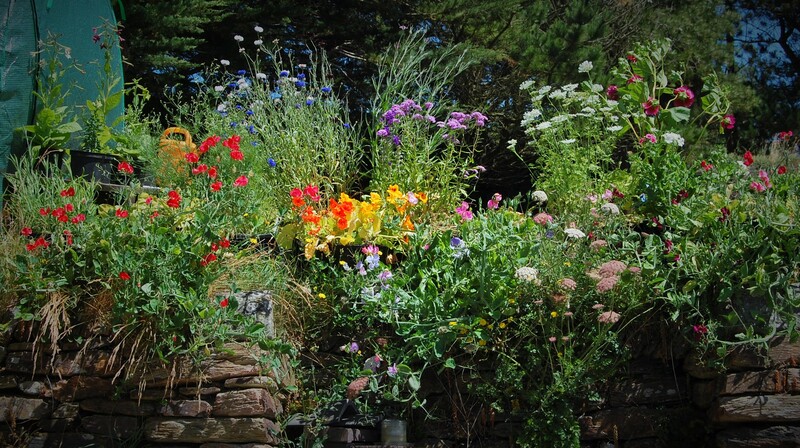 As it turned out…growing flowers in builder’s buckets works really rather well. These buckets cost me a pound a pop. The compost to fill them was about two or three pounds a pop. From the lawn side of the bucket patch you can see more clearly what’s going on. 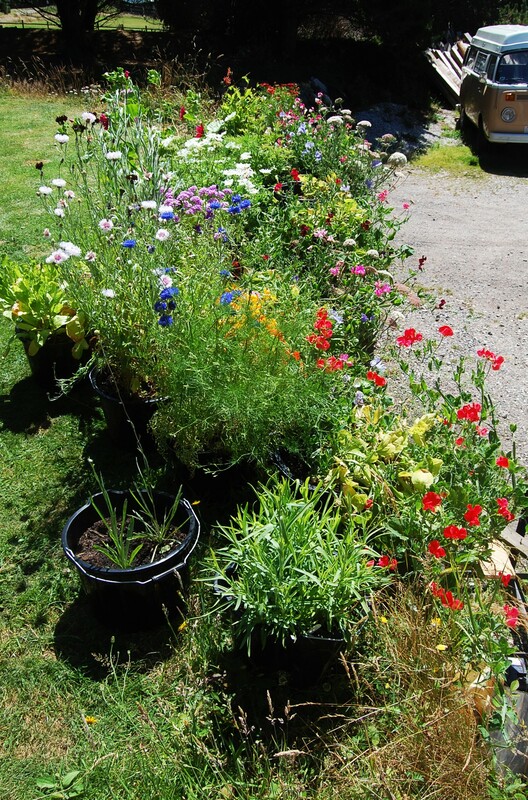 To the right hand side of the photo you can see I’ve got some perennials in buckets…Knautia, Echinops and Chrysanthemum…will have to wait until next year for those chaps to get with the program. The Sweet Peas however I sowed in the buckets themselves…I thinned them to five seedlings per bucket…I think next time I will thin them to three. Everything I sowed did really well with the exception of Nasturtium and Craspedia, who probably found the compost far too rich for their wants. The buckets allow me to move this mini cutting garden out of the way of the hefty storms that run up our valley straight off the Atlantic. They would of course also be great for folk with no gardens but who may have patios or a balcony. I can’t tell you how much I enjoyed growing flowers in buckets (simple things for simple minds). Having them growing just outside the front door is just great as my lotty plot is a ten minute bike ride away. The Sweet peas going down the wall meet the Daucus Carota going up…it’s a fab tangle. One thing to bear in mind if you grow in buckets like these is that in warm weather they need to be watered every day…you can miss a day if a string of lingerie models pop by with a bottle of Martini but on the whole you must be attentive to your watering duties. All the seeds can of course be found in the Higgledy Seed Shop. Orlaya, Cornflowers, Salvia & Candytuft. Late Summer & Early Autumn Sowing Of Hardy Annual Flower Seeds.